Beeville Memories An entertaining bit of history by resident Yvonne Hastings on the website for the town of Beeville, Texas. If I were teaching a writing workshop this fall (but I'm not), I would use this as a splendid example of the use of vivid detail. Seriously, great storytelling. The Mexican Kitchen's Islamic Connections by Rachel Laudan. Read this aloud to a Mexican. There will be huffing and puffing. Entertain the kiddies with these nifty projects. The Secret of the Top Five: Seth Godin says tables of 10 don't work, but five people at a table for 4 do. Yep. I say, the worst, the absolute yawningly horrible, are those long narrow banquet tables. Especially if you're sitting next to people who must, even as the salad arrives, remain glued to their Blackberries (I call them "the leashed people"). Mexico City's historic Ciudadela has long been converted into the most fabulous library, La Biblioteca de México José Vasconcelos. 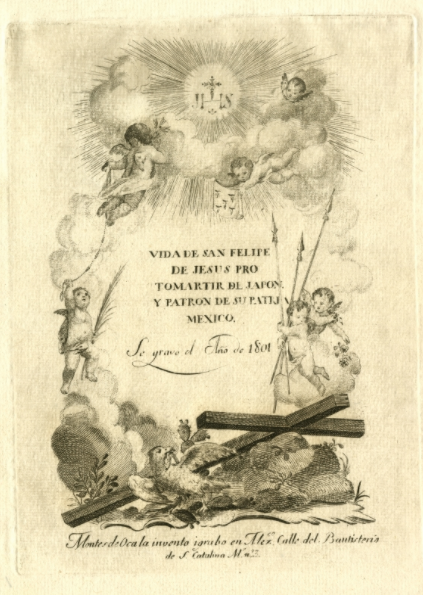 Check out their digital collection, an amazing resource for researchers. 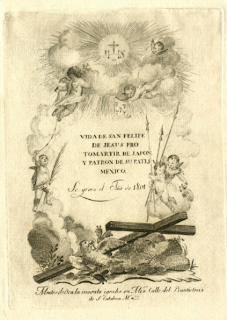 Featured on the home page is the 1801 edition of Vida de San Felipe de Jesús, the first Mexican saint who was martyred in Japan in the 16th century. Finishing up the last edits on the second, revised and expanded prologue of my translation of Francisco I. Madero's Spiritist Manual of 1911. 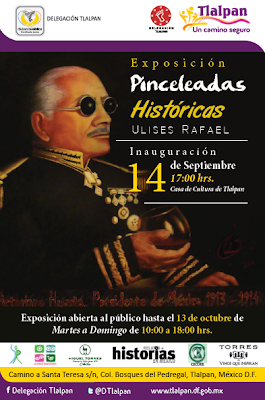 (For those new to the blog, Madero was the leader of Mexico's 1910 revolution and President of Mexico 1911-1913.) 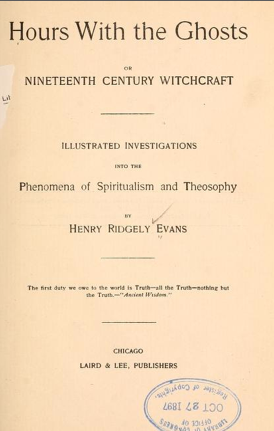 One of the additions to my prologue is a bit more from and about Henry Ridgely Evans (1861-1949), a magic historian who also happened to be a childhood friend of Agustin de Iturbide y Green (who also comes into the revised prologue). Like Madero, Evans was a 33 degree Mason, and intensely interested in anomalous phenomena. Madero was a convinced Spiritist and, though influenced by the Theosophists, in particular their enthusiasm for the Hindu epic the Baghavad-Gita, from his correspondence we know that he apparently, if diplomatically, disapproved of Madam Blavatsky, et al. 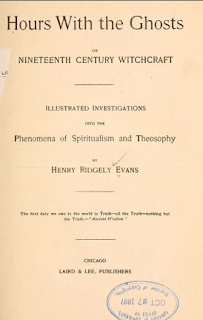 Evans, born in Baltimore and a long-time resident of Washington DC, was not a Spiritist but an expert magician and prolific author-- and he disparaged Madame Blavatsky and other Theosophists at length in one of his best known books, Hours with the Ghosts or Nineteenth Century Witchcraft (Laird & Lee Publishers, 1897). This is an out-to-Mars-expensive collector's item, but fortunately for us, a digital edition of this book is now in the public domain and available free online at archive.org. 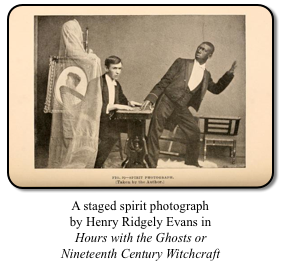 In Hours with the Ghosts, Evans looks at many of the more popular mediumistic displays of the age-- slate writing, table tipping, levitation, apports, spirit photography and so on-- with a magician's practiced eye. While he debunks many of mediums as mere entertainers, he nonetheless remains open to the possibility that there may be some unexplained psychic phenomena operating in some cases (notably Eusapia Palladino), and he accepts telepathic communication, again, in some instances. Everyone loves mysteries, especially when they are of the Egyptian kind. Cagliostro, the High Priest of Humbug, knew this when he evolved the Egyptian Rite of Masonry, in the eighteenth century. P.S. The second edition of my translation of Madero's 1911 Spiritist Manual, with my all new book-length prologue, Metaphysical Odyssey Into the Mexican Revolution, will be available in October. Somebody needs to write this biography. 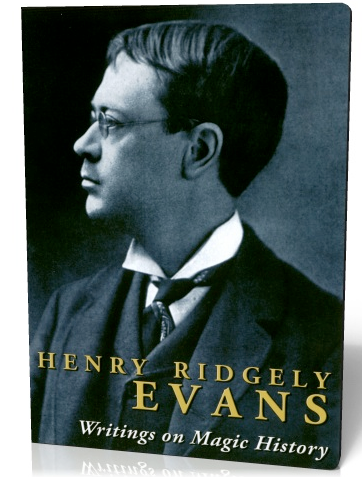 The Magic detective asks, Who Was Henry Ridgely Evans? The Miracle Factory has the CD with the whole enchilada. My previous post on Mr Evans. 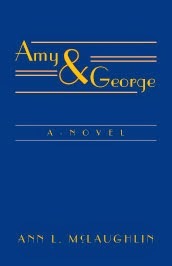 Amy & George is the latest novel by my dear friend Ann McLaughlin, who I admire more than I can say. If you're anywhere near Washington DC this Sunday September 22, 2013, don't miss her reading at Politics & Prose at 1 pm. Once again, with charm and heart, McLaughlin brings to life a tumultuous period of U.S. history as she probes and delves into a father-daughter relationship that is sometimes a seesaw, sometimes a dance. This is a wise novel. Oh, and isn't this a ka-pow of a cover? Covers are so crucial! (Ask me about the cover for the Spanish edition of my short stories and you'll know I don't use Botox.) Seriously, this is one of the best covers I've seen, perfectly elegant and perfect for the narrative itself. UPDATE: Read the interview / profile of Ann McLaughlin in the Gazette. Julia Sussner's latest app! 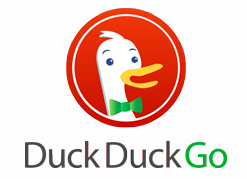 (She's my favorite app designer, based in the blazing heart of Palo Alto.) 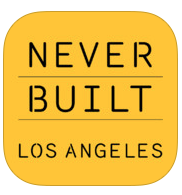 The app, which accompanies an exhibition, "Never Built: Los Angeles," takes a selection of the projects and situates them on a map, creating an interactive experience of the city, as it is, and as it could have been. >>Download it now from iTunes here. Her joy for travel is infectious, plus heaps of nifty tips. 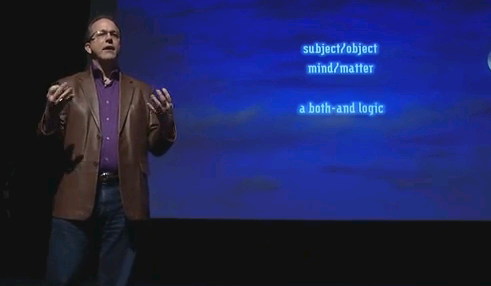 Dan Gilbert explains the whole happiness thing (but sorry, Dan, I would still rather win the lottery than end up a paraplegic...) Seriously, this is one of the best TED Talks ever. No need to smoke anything, folks. Via Real Delia, Jane Friedman's talk (video) on audience development for writers. Recommended by Cool Tools (another favorite blog): The Yeti for podcasters. 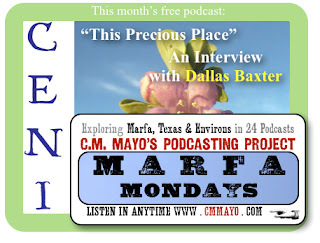 Marfa Mondays Returns with an Interview with Dallas Baxter, "This Precious Place"
A metaphorical asteroid took out the past few months, but (whew) the Marfa Mondays Podcasting Project resumes today with podcast #12, an interview with Cenizo Journal's founding editor, Dallas Baxter. Baxter had just turned over Cenizo Journal to its new owner when I interviewed her last February 2013 in Alpine (about an half hour's drive from Marfa). She had arrived from New York just around the time of 9/11, and as editor of a journal covering the arts and history of the Big Bend / Trans-Pecos region of far West Texas, Baxter has an usually rich experience and perspective. If you wonder how a print publication can make it in this crazy digital age, and what it's like to live in such a remotely beautiful place, listen in. There will be 24 podcasts, and the project now extends through 2015. ... and more. Listen in any time, free, to all of them here. For those of you new to the blog, Madero was the leader of Mexico's 1910 Revolution and President of Mexico from 1911-1913. So, as you might imagine, his "secret book" has more than a little historical relevance. A note today about one of the more esoteric images that will be included in the Spanish edition: "Urim and Thummim," the pair of "peep stones" or "spectacles" used by Joseph Smith to translate the Book of Mormon. No one has seen them (he said he gave them back to the angel Moroni), but there are several eyewitness descriptions in the literature of the history of the Church of the Latter-Day Saints. Pictured here (a little extra spooky!) is my take on the spectacles. The black background plays with the stories that Smith put his hat in front of his face while wearing Urim and Thummim, the better to divine the translation of the Book of Mormon. So, what are Urim and Thummim? In Judaic tradition, these are divining stones in the high priest's breastplate, and according to the on-line Jewish Encyclopedia, the Hebrew words inscribed on the stones mean "revelation and truth" or "lights and perfections." Hebrew term that means “Lights and Perfections.” An instrument prepared of God to assist man in obtaining revelation from the Lord and in translating languages.. .Using a Urim and Thummim is the special prerogative of a seer, and it would seem reasonable that such instruments were used from the time of Adam. . . . Joseph Smith used it in translating the Book of Mormon and in obtaining other revelations. Among other things we inquired minutely about the Urim and Thummim and the breastplate. We asked him what was meant by the expression "two rims of a bow," which held the former. He said a double silver bow was twisted into the shape of the figure eight, and the two stones were placed literally between the two rims of a bow. At one end was attached a rod which was connected with the outer edge of the right shoulder of the breast-plate. By pressing the head a little forward, the rod held the Urim and Thummim before the eyes much like a pair of spectacles. A pocket was prepared in the breastplate on the left side, immediately over the heart. When not in use the Urim and Thummim was placed in this pocket, the rod being of just the right length to allow it to be so deposited. This instrument could, however, be detached from the breastplate and his brother said Joseph often wore it detached when away from home, but always used it in connection with the breastplate when receiving official communications, and usually so when translating as it permitted him to have both hands free to hold the plates. 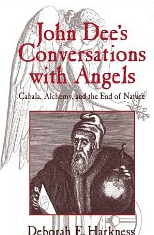 It sounds to me like the ancient Judaic use was cleromancy, whereas Joseph Smith's was more scrying and along the lines of the use by the 16th century English Dr. Dee (link to a book that quotes Dr Dee on his use of Urim and Thummim: Deborah E. Harkness's John Dee's Conversations with Angels: Cabala, Alchemy, and the End of Nature, Cambridge University Press, 1999). Visit the webpage for my translation of Madero's Spiritist Manual. UPDATE 2018: An interesting mention of Urim and Thummim in Art Magic, p. 420. This is my invitation to you: Come and talk about the life you want to have and the work you want to create. We will work together to make your visions real. During the life coaching-creativity advising sessions, I provide, according to each person’s need: close listening, mentoring, structure, assignments, writing instruction, writing exercises, art-making activities—or a blend of them all. There is much more on her website, including links to resources for writers. Check it out, very highly recommended. P.S. Listen to my podcast interview with Sara Taber about her many books, including the most recent award-winning memoir, Born Under an Assumed Name. Tyler Cowan has it figured out (mostly): Who Will Prosper in the New World. Good points, but... as the multitude of sages have said, money isn't everything. Definitely do not text and drive (link to Werner Herzog documentary). Hospital bills are not helpful. Unless you're the hospital. Enrich your mind, enrich the world: Lilivia Soto in Ragazine. Enrich your mind with Proust et el Alain de Botton in Big Think. Well, dig those shades. Note that snifter of brandy. For those new to the blog, Francisco I. Madero was the leader of Mexico's 1910 Revolution and democratically-elected President from 1911 to February 1913 when his government fell in a coup d'etat led by Generals Victoriano Huerta and Manual Mondragón (among others). The ten days of fighting are known to all Mexicans as La Decena Trágica.
. . . The army, and its powerful general Victoriano Huerta, veteran of years of smashing campesino uprisings, turned out to be a lynchpin in sustaining and, in the end, destroying Madero’s government. Apparently, if anything bothered General Huerta’s conscience, he grabbed it by the throat and drowned it in drink. He was famous for his drinking jags; he would die in early 1916, if we are to believe the U.S. Army surgeons at Fort Bliss, and I don’t see why not, of cirrhosis of the liver. It was General Huerta who had escorted Don Porfirio and his family to their ship in Veracruz. Huerta who, on the orders of interim President de la Barra in 1911, and much to Madero’s disgust, swept into Zapatista territory, burning villages and executing prisoners; Huerta who, now on orders of President Madero, squashed the Orozquista rebellion in the north in 1912. Huerta, who ordered Pancho Villa’s execution for stealing a horse; Huerta who, grudgingly, obeyed when President Madero ordered that Villa be sent to prison instead. Corrido: "Despedida a D. Victoriano Huerta"
To be alerted when the revised and expanded second edition is available, click here. Yvette gives the whole overview on her vision for DC-ALT, the DC Area Literary Translator's Network, and I say, viva! This is for anyone interested in translation, whether based in Washington DC or just visiting. Finally! Feldenkreis for dogs! Read all about it. This is going to be big. Woof!